In our house, Christmas just isn’t Christmas without Pfeffernüsse, and I couldn’t resist the temptation to purchase a new variety this morning. 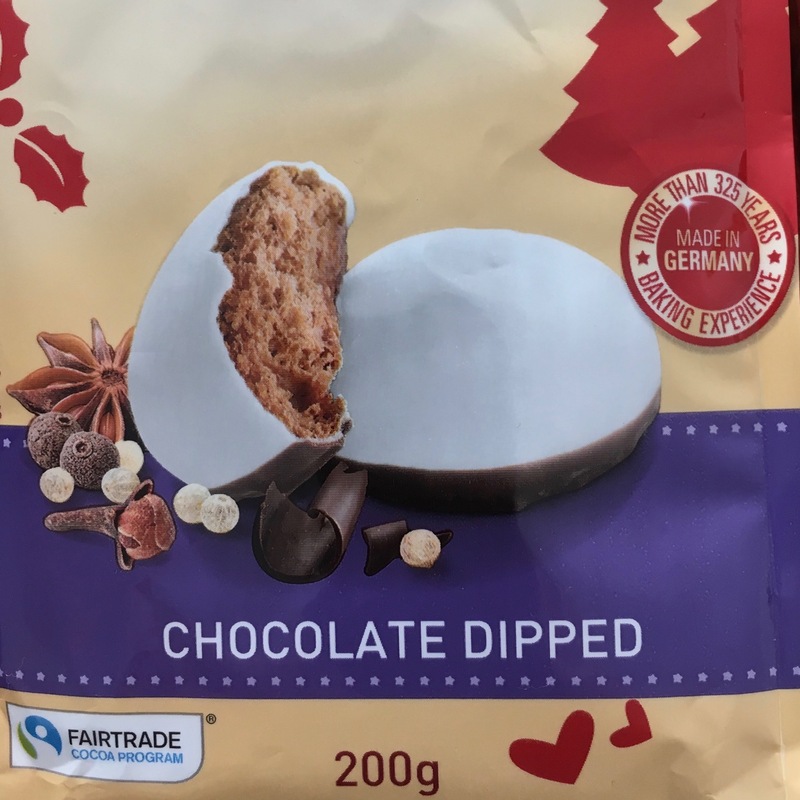 As for how this new chocolate dipped variety taste, you’ll have to wait to hear about that because the packet(s) won’t be opened for at least another week. Sometimes when you duck into the supermarket to buy one item, it’s hard to leave with just that one item, and although I couldn’t even find what I was seeking, I still left with two bags of groceries. Oh dear! I do too, regardless of our heritage, the differences those unusual traditions bring make life so interesting.